Paolo is internationally certified as a Substance Use Disorder Therapist and Recovery Coach by the International Centre for Certification and Education of Addiction Professionals (ICCE) and by the Asia Pacific Certification Board (APCB). 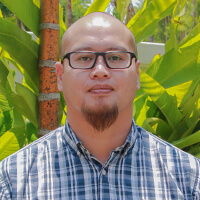 Prior to joining The Cabin Chiang Mai, he was the treatment manager of an international rehab based in eastern Thailand (2015). Paolo has a Bachelor Degree in Psychology and is currently a Masters candidate with a concentration on addiction studies. He has been working in the field of addiction treatment since 2002. Paolo’s professional experience includes being a part of a multidisciplinary team (medical doctors and other mental health professionals), which gives him an extensive knowledge and training on substance use disorder as well as its co-morbid disorders. As a counsellor, Paolo favours the treatment modality of Cognitive Behavioural Therapy (CBT) in conjunction with other evidence-based modalities – Relapse Prevention Therapy, Motivational Enhancement Therapy (MET), and Twelve-Step Facilitation (TSF), among others.